Mr Shivakumar stressed that Hindutva was not anybody’s property and nobody applied to be born in a religion. 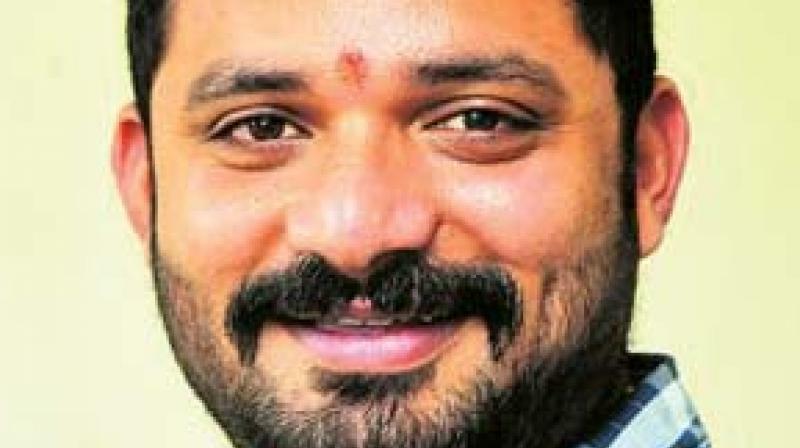 Mr Rai himself has raised a few eyebrows by resorting to saffron strategies like reciting the Hanuman chalisa, donning a saffron shawl and visiting temples during his campaign in the district, with the clear intention of challenging the BJP, which has a good presence on the coast, this Lok Sabha poll. This is Mr Shivakumar’s second visit to Dakshina Kannada to campaign for him and interestingly, on both visits he has concentrated on Sullia, Puttur and Belthangady , the bastion of Hindutva. Speaking to reporters, he agreed that winning Dakshina Kannada was a big challenge but claimed the Congress would do it and the way it plans to go about it appears to be not only to appeal to supporters of Hindutva , but the proponents themselves. Even more interestingly, using the terminology of the saffron outfits he recalled, "Rahul Gandhiji said the 'national flag is my dharma,' which means all can come and join the party. The flag has saffron, white and green on it. It is a mix of three colours," he noted. Mr Shivakumar stressed that Hindutva was not anybody’s property and nobody applied to be born in a religion. On his apology on the Lingayat issue, he said he stood by his statement. "That is my stand and there is no change. There should be dharma in politics and not politics in dharma," he declared.